When you choose a creative place to meet, you think creative. Therefore, the most important consideration in any off -site meeting is location, location, location. Where would you feel more inspired? At a strolling dinner surrounded by lush botanicals, or in the same old offi ce conference room? Sometimes, in order to feel good about your work, you need to get away from where you work. Off -site meetings can build loyalty, foster new ideas, boost enthusiasm, and revitalize a team. Whether you choose to stay local or plan a getaway retreat, a wellplanned event will begin with picking the right venue to meet your needs. Does your meeting require connectivity, open space, advanced lighting, on-site catering, and room for displays? Or does your group need only a table and a video projector? What kind of outside activities are planned? Will a round of golf please everyone, or are the attendees more apt to enjoy the off erings of a bustling city, historical locations, or a musical performance? 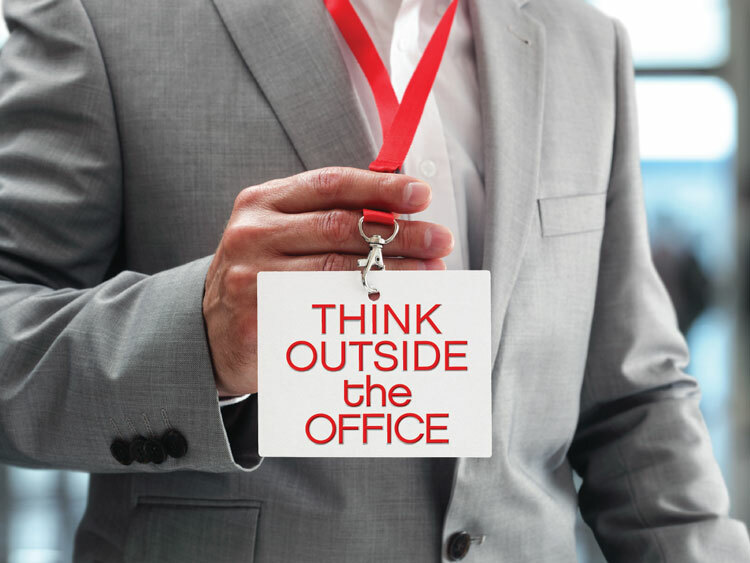 The location should serve a role in the off -site meeting goals. While the internet makes it possible to meet virtually anytime, it is no substitute to meeting face-to-face, sharing the same space and with the same goals in mind. Whether it is a meeting of the minds for two, or a conference for 20,000, the following venues off er the best in facilities, parking, accommodations, catering, and comfort. From opulent ballrooms to modern conference centers, there’s a place that is right for your next event. “We listened to our guests, including meeting guests and leisure guests, and we directly incorporated their desires and really reflected their wishes in the design,” Director of Sales Ryan Buck explained about the $7 million renovation of rooms in the iconic Tower at Grand Traverse Resort and Spa, just outside of Traverse City. Completed in the summer of 2015, the renovation of all 186 guest rooms gave them all a completely new look, with design elements that were greatly influenced by the resort’s guests. The exterior of the Tower remains unchanged. It is a skyline landmark and mirror of northern Michigan because of its stunning glass panels. The 186 rooms inside the Tower give guests a view previously reserved for someone in a hot air balloon. The renovation designer, Niemann Interiors, delivered “relaxed luxury” with a palette that put a contemporary spin on relaxed living and reflects the northern Michigan experience — from the sand of its beaches to the green of fairways and the fall colors seen on a wine tour. The palette even manages to incorporate the gray-brown sunburst pattern of Petoskey stones. Among the top requests by guests were space, light, and great internet connectivity. The rooms offer all that, and then some. They have a fresh, contemporary design, combined with an unmatched view of Grand Traverse Bay and the surrounding countryside. In addition, the resort offers a multitude of fabulous amenities. “The Tower has proven to be a great experience for our guests who visit from distant locations, as well as our local community,” Buck says. The 900-acre resort includes top-notch championship golf on three courses, indoor and outdoor tennis, a 100,000-squarefoot health club, a full-service spa, diverse and elegant dining options, a shopping gallery, and 86,000 square feet of meeting space. The resort’s Tower is one part of a collection of accommodations that include 240 guest rooms in the original six-story hotel, and 160 condominiums nestled along the fairways of three championship golf courses and East Grand Traverse Bay. Grand Traverse Resort and Spa is located in the active community of Acme, six miles northeast of Traverse City and just 10 minutes from Cherry Capital Airport (TVC). The resort is proudly owned by the Grand Traverse Band of Ottawa and Chippewa Indians, which also owns Turtle Creek Casino & Hotel, literally in sight of the Tower, and Leelanau Sands Casino & Lodge in scenic Leelanau County, on the other side of Grand Traverse Bay. For more information and reservations, call 800-236-1577 or visit www.grandtraverseresort.com. Lansing is Michigan’s Capital City, and our Midwestern hospitality will make your event’s attendees feel right at home. The region offers more than 4,300 affordably priced hotel rooms, and is conveniently located near area attractions and restaurants. The Lansing Center has more than 71,000 square feet of column-free exhibit space and an additional 25,000 square feet of pre-conference public space along the scenic Grand River, while the Radisson Hotel Lansing is connected to the Lansing Center via a covered pedway. Three miles away, on the scenic campus of Michigan State University, the 254,000-square-foot public arena, the Breslin Center, is conveniently adjacent to the award-winning Kellogg Hotel and Conference Center. Greater Lansing is easily accessible and at the junction of most major highways. As the home of MSU and state government, some of the most influential minds in America are at your fingertips as speakers and panelists. For fun after your event, hop on the Makers & Shakers Trail and take a tasting tour of the area’s finest craft beers, local wine and small-batch spirits — there are more than a dozen to choose from! Make your next event truly memorable. Choose Greater Lansing! 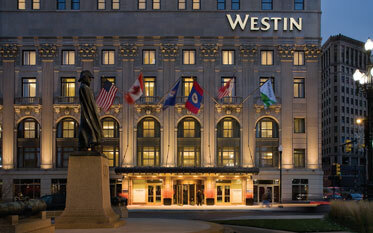 Following a two-year, $200-million redevelopment, The Westin Book Cadillac Detroit opened in 2008 as a 453-room luxury hotel with sweeping guestroom views of the riverfront and the city skyline. Now included in the National Register of Historic Places, the Italian Renaissance-style hotel, built by Detroit’s famous Book brothers, was the tallest building in Detroit and the tallest hotel in the world at its completion in 1924. With its original historic splendor and a nod to contemporary amenities, the hotel has proudly served as the premier destination for major meetings, weddings, and events. It is home of celebrity chef Michael Symon’s Roast. Roast has been lauded with numerous awards as one of the best restaurants in the country. In 2013, The Book was selected as the Westin North America Hotel of the Year by Starwood Hotels & Resorts, placing it at the top of 146 Westin hotels in North America. The hotel offers more than 30,000 square feet of meeting and event space, with the restored opulence of the Venetian and Crystal ballrooms and the famed Italian Garden. The new and spacious Woodward Ballroom has a contemporary look and vehicle accessibility. Guests can enjoy casual dining at 24grille, The Boulevard Room, and the WBC Gourmet Grab & Go, or relax in the elegant Motor Bar. The Book — the perfect destination for renewal. The elegance and versatility of the Max M. & Marjorie S. Fisher Music Center create an outstanding setting for a variety of special events — from fundraising galas and auto show parties to concerts, meetings, and more! With capacity for up to 2,000 guests, the Max offers the facilities and expertise to meet all of your event needs. This beautiful setting, along with friendly and knowledgeable professional staff, offers you and your guests first-class service, ensuring the success of your event. DSO Catering blends innovation with classical technique to elevate modern cuisine, infusing sophistication in menus designed to bring your guests together and create lasting memories. The home of the Detroit Symphony Orchestra and located in the heart of Midtown Detroit, the Max M. & Marjorie S. Fisher Music Center offers classic elegance and modern sophistication — an ideal event space for all your needs. Whether hosting corporate retreats or athletic events, Traverse City offers an eclectic mix of lodging, meeting, and sporting venues that will ensure a successful — and inspirational — experience! Over the years, this Michigan coastal retreat has made the transition from a rustic “Up North” resort town to a charmingly sophisticated small city. Its hotel and resort sleeping rooms number nearly 5,000, while meeting and event venues range from beautifully restored historic landmarks and stunning waterfront properties to full-service resorts and conference centers. With hiking and biking trails, championship golf courses, ski slopes, and hundreds of miles of shoreline — including the majestic Sleeping Bear Dunes National Lakeshore — the Traverse City region offers year-round outdoor recreation. Specialty shops, boutiques, art galleries, and concert halls offer plenty of indoor options, as well. 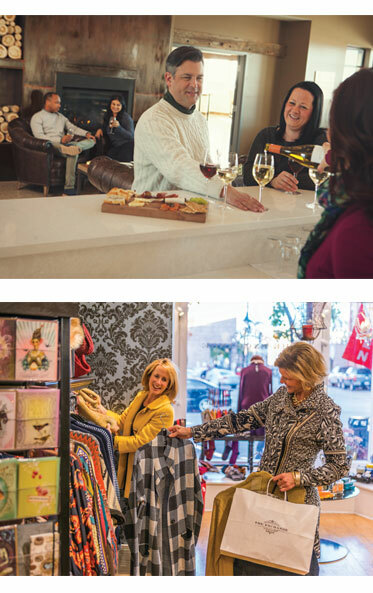 Traverse City is a famous wine-producing region, boasting more than 40 wineries and tasting rooms. It is also winning national acclaim for its fresh, imaginative regional cuisine; Bon Appetit Magazine has named it one of the country’s Top Five Foodie Towns. 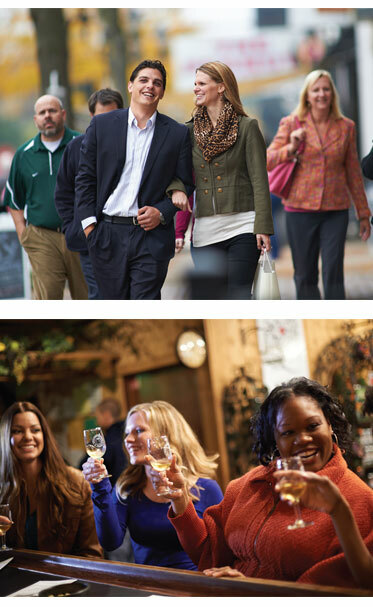 For information on hosting your next meeting or event in Traverse City, please contact Traverse City Tourism at 800- 940-1120 or traversecity.com/meetings-conventions. 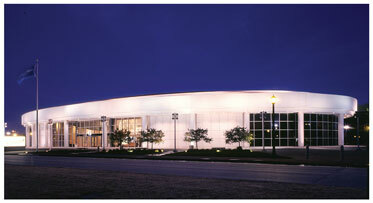 The Ford Conference and Event Center is a premier event facility with more than 30,000 square feet of flexible meeting space. It is located directly across from The Henry Ford Museum and Greenfield Village, and is only 15 minutes from Detroit Metropolitan Airport. A wide range of services are offered, from a knowledgeable audio/visual staff that can enhance your event’s technical details to a dedicated meeting planners’ room. The CEC also provides premier onsite catering, with first http://www.cec.ford.comclass service and selections. You and your guests will be assisted by experienced meeting professionals who are dedicated to helping you plan and execute a function that is well-organized, easy to navigate, and, ultimately, a huge success. The impressive Grand Hall and spectacular Gallery offer nearly 10,000 square feet each and can accommodate up to 1,000 guests. With features large enough to accommodate a vehicle or other displays, it also serves as a memorable dining venue, and has maximum flexibility to accommodate grand-scale events and conferences. There are also a wide range of smaller group meeting spaces. For an in-depth look at our facility, please visit our website at www.cec.ford.com or contact us at 313-621-2900. We look forward to servicing you soon. The historic Gem Theatre, centrally located on Madison Avenue, is one of the most beautiful locations in the city of Detroit for presentations, special events, and weddings. The building consists of two theaters and two dining rooms that can operate in conjunction with one another or independently, accommodating groups as small as 50 or as large as 500. Built in 1903 by the Twentieth Century Association, a women’s civic group, the building has a long and colorful history. It was renovated by the current owners in 1991, and was moved to its Madison location in 1998 to make way for Comerica Park. The Gem was built in an ornate Spanish Revival and Arts and Crafts architecture. Throughout the building, there are warm, handpainted accents; antique crystal chandeliers; Pewabic tile bars; a working stone fireplace; and oak hardwood flooring. Both theaters offer advanced audiovisual capabilities, expert technical assistance, and easy projection packages that can customize any event or meeting. The Gem’s executive chef prepares fresh and fun menu options that are creatively displayed and customized to your event. The Gem Theatre is surrounded by an exquisitely landscaped garden patio, and a parking garage is conveniently located behind the building. The Gem Theatre is one of Detroit’s most popular locations for corporate events and weddings. 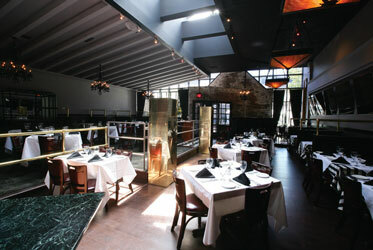 The Hill Seafood & Chop House is the perfect place to hold special gatherings and business meetings. Our beautiful patio and newly renovated dining room and bar will delight your guests. We also have a private banquet facility and are able to accommodate groups from two to 50. Specially designed menus give your guests a wide variety of choices. We offer complete floral coordination, audio/visual, and any other service you may need to ensure each event is a success. We can do walk-about gatherings for cocktails and hors d’oeuvres or formal sit-down dinners, and we also offer in home catering. 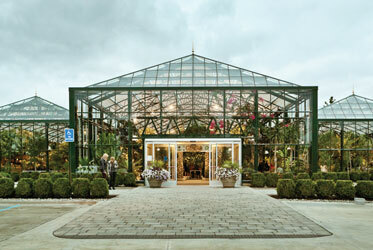 Planterra Conservatory is a lush, glass-enclosed garden experience that is ideal for receptions, cocktail parties, and holiday events. The space has curved European trusses, stone floors, and breathtaking botanicals. On cloudless evenings, stars are visible through Planterra’s dramatic glass ceiling. Planterra Conservatory is a full-service venue offering a wide range of food and beverages, event planning services and design. The conservatory is a single, 10,000-square-foot room filled with botanicals that is able to accommodate up to 180 guests either seated or strolling. For more information, contact Anne Galligan at events@planterra.com or call 248-661-1515.